My little cousin got married in a beautiful ceremony in the cutest church in Ottawa. It was very intimate and personal. Families from both sides were in attendance and there was so much love in the air. It was a great feeling and I am so happy I was able to help celebrate their love. Originally, I had something else in mind to wear but with so many things going on this summer with me changing jobs, us moving to a new place, I never tried the dress on until a few days before leaving town. Low and behold, my first or second option didn't quite fit the way I remembered it fitting. I purchased this jacquard patterned dress from H&M with the intention of wearing it to the family dinner the night before the wedding. 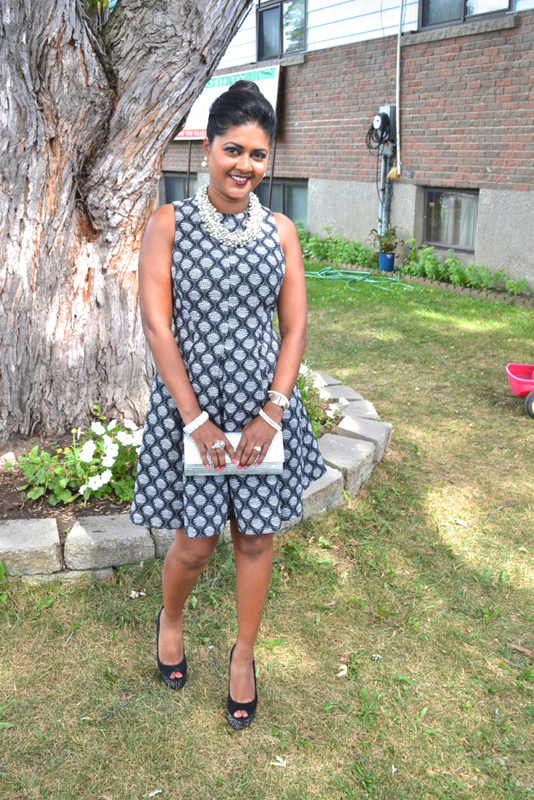 Literally two days before, I ended up going to the mall in Ottawa and bought new accessories for this dress so that I could wear it to the wedding. I found this chunky statement necklace and matching earrings at Aldo and borrowed this studded clutch from my sister in law. 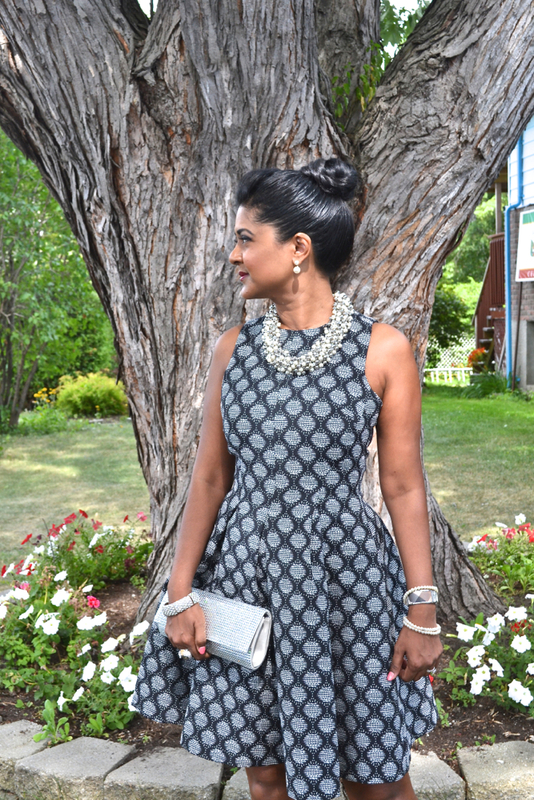 The accessories, this H&M dress and my studded peep toe heels created the perfect wedding look. Looking forward to see the other ways I will be able to style this dress! Cute dress! It makes you look very curvy!